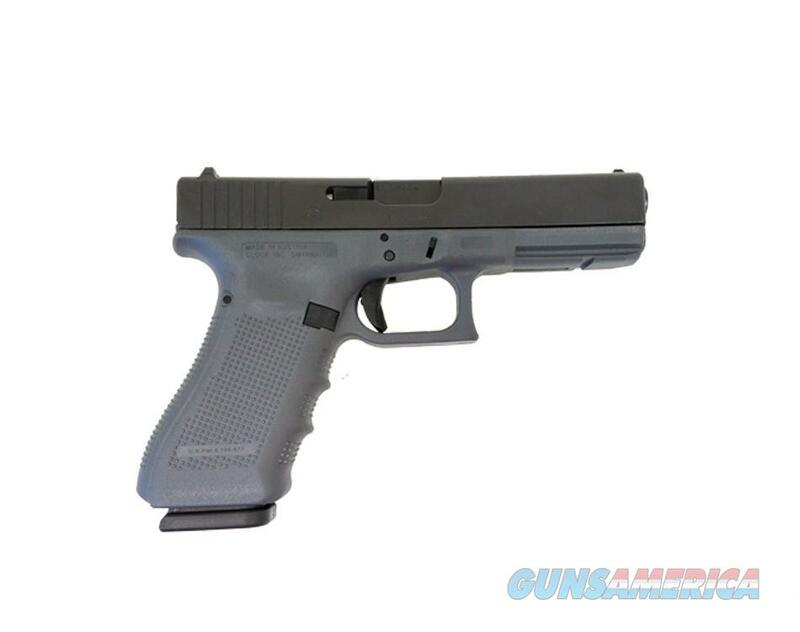 Description: The GLOCK 17 Gen4, in 9x19, introduces revolutionary design changes to the world's most popular pistol. The Modular Back Strap design lets you instantly customize its grip to adapt to an individual shooter's hand size. The surface of the frame employs the new scientifically designed, real-world-tested, Gen4 rough textured technology. Internally, the new GLOCK dual recoil spring assembly substantially increases the life of the system. A reversible enlarged magazine catch, changeable in seconds, accommodates left or right-handed operators. The G17 Gen4 also retains the GLOCK accessory rail for your attachments.